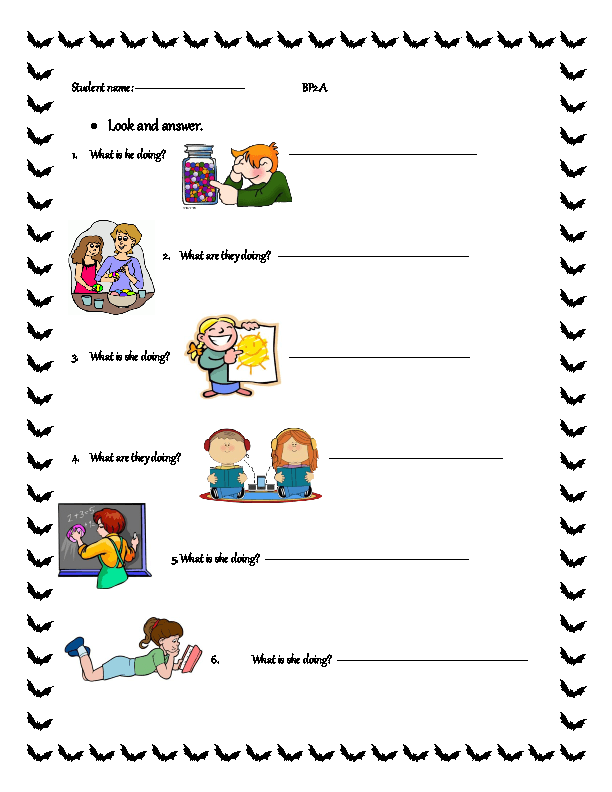 This worksheet is designed for elementary students and young learners. 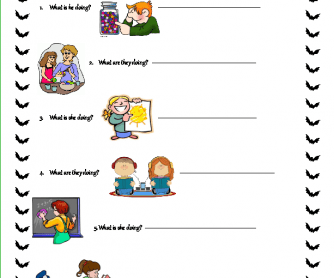 It contains two parts, first: school action verbs and present continuous and question formation with "what". Second part: counting and use of there is and there are and question formation with "How many".